Creating consistent, accurate export documents is crucial in keeping your shipment on time and making sure you get paid quickly. While it’s often the export manager’s job to oversee this process, everyone in your company should be concerned that export documents are created the right way. Here are three reasons getting your export documentation correct is important to everyone at your operation, including your C-Suite. 1. Incorrect documents can slow down your shipment and your payment for the shipment. There is a cost associated with the effort and time it takes to redo export documentation that was filled with mistakes. Creating incorrect documents is much less efficient, takes away the time employees should be spending on other job duties, and ultimately slows the shipment process. The longer it takes to ship, the longer it takes your company to get paid. 2. 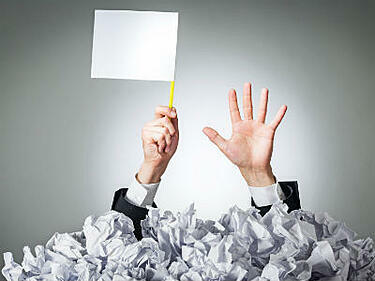 Incorrect documents can get you in trouble with compliance regulations. Even if you’re not shipping guns, weapons or biological substances, you’re not excused from export compliance. Many exporters don’t understand that certain commercial items for non-military purposes can be classified as dual use. Despite being created for commercial purposes, these items can be adapted into something more destructive, and not getting the documentation right for these type of products is a huge—potentially devastating—mistake for your and your company. 3. Incorrect documents can cost your company money. According to the U.S. Department of Commerce’s Bureau of Industry and Security (BIS), fines for export violations can reach up to $1 million per violation in criminal cases, while administrative cases can result in a penalty amounting to the greater of $250,000 or twice the value of the transaction. The Violation: Between 2006 and 2008, Mattson Technology Inc. of Fremont, California, made unlicensed exports of pressure transducers classified as ECCN 2B230 to customers in Israel, Malaysia, China, Singapore, and Taiwan in violation of the EAR. The pressure transducers, valued at $78,000, were controlled for nuclear nonproliferation reasons. This case cautions manufacturing and distribution partners to pay careful attention to compliance requirements when exporting controlled spare and replacement parts. Penalties related to the unauthorized export of spare and replacement parts can be as costly as those that arise from violations related to the export of complete systems and capital equipment. Companies that authorize spare or replacement part shipments using license exceptions, including for replacement parts and equipment and for temporary exports, must ensure compliance with all of the requirements for authorized use of these exemptions as defined in the EAR. The Penalty: In 2012, Mattson Technology agreed to pay $850,000 in civil penalties. The company voluntarily disclosed the violations and cooperated fully in the investigation, and $600,000 of the penalties were suspended. The Bureau of Industry & Security (BIS) publication, Don’t Let This Happen To You, is filled with examples of businesses who took a risk with their export documentation and lost. Each highlights the detrimental effects of being out of compliance and underscores the need to closely watch and constantly review your company's export operation. How can you avoid penalties associated with incorrect export documentation? Though most exporters don’t plan on doing something wrong in the eyes of the law, mistakes do happen—and the consequences can be devastating. Companies can face fines, lose their export privileges, and in the most egregious cases, see employees go to jail. One way to make sure your export documentation process is covered is to create an Export Management and Compliance Program (EMCP). An EMCP gives you a clear plan of how to audit your company's procedures and processes yourself, so you can identify and address any potential violations before they surface. Continuous risk assessment of the export program. Formal written export management and compliance program. Ongoing compliance training and awareness. Pre- and post-export compliance security and screening. Adherence to recordkeeping regulatory requirements. Internal and external compliance monitoring and periodic audits. A program for handling compliance problems, including reporting export violations. Appropriate corrective actions in response to export violations. A well-written EMCP can substantially reduce penalties if your company violates export regulations, as long as you can document that you regularly follow the written plan. Getting your documentation right includes following procedures for properly classifying your goods for export, determining whether or not your items require an export license, correctly submitting your export information electronically through the Automated Export System (AES), and correctly completing the required export forms. Thousands of successful exporters use the Shipping Solutions Professional export software to manage this process. Shipping Solutions is the most accurate way to manage your export process. Not only will you be able to save your company from potentially expensive compliance mistakes, you’ll be able to finish your export paperwork faster and with fewer headaches. Let us show you how for free!